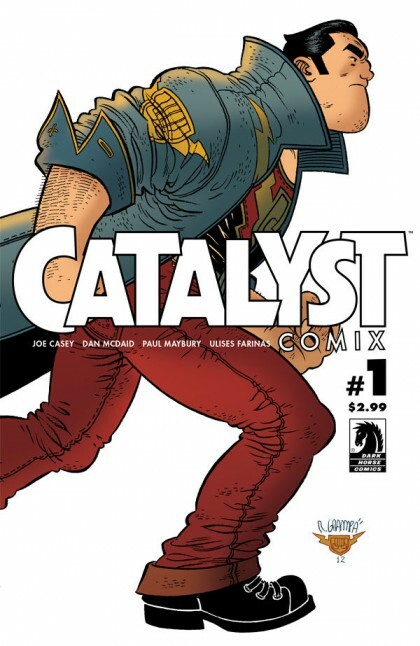 SETH’S PICK :: CATALYST COMIX #4: This has been one of my favorite go-to sleeper series in recent months. Joe Casey has brought new life to some of Dark Horse’s old super hero properties from the nineties. His writing alone warrants a read, but the biggest selling point for me is that each issue features three different stories following three sets of protagonists. The artists who bring this triad to life are top notch creators like Dan McDaid, Ulises Farinas, and Paul Maybury. This combination produces bright, colorful, kinetic super hero comics, and best of all, you don’t need to have read any of the lackluster nineties stories to follow what’s going on here. 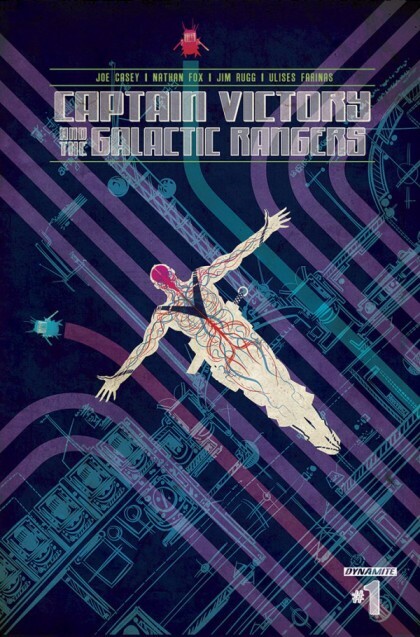 And if that wasn’t enough for you, the cover artists in regular rotation are Paul Pope, Raphael Grampa, and Brendan McCarthy, all of whom are perfect fits for this fun, bizarre super hero series. 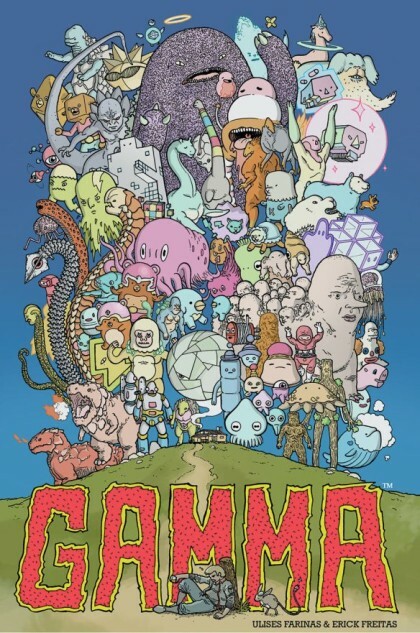 JUSTIN’S PICK :: GAMMA ONE SHOT: Admittedly, I have no idea what this comic book is about. A peek at the solicitation makes it sound like a more adult take on Pokémon (“…Dusty thinks he can conjure up the man he once was – the greatest monster trainer in the world!”), but what really intrigues is the crazy iconography of that tasty, eye-sizzling, cover. It’s a veritable what’s what of why our beloved medium is so vibrant and singular. It’s always easy to pick up a one-shot when it’s so reasonably priced, as well, and I can think of several worse ways to spend a half-hour than perusing a charming periodical such as this. Gold stars for Ulises Farinas and Erick Freitas. 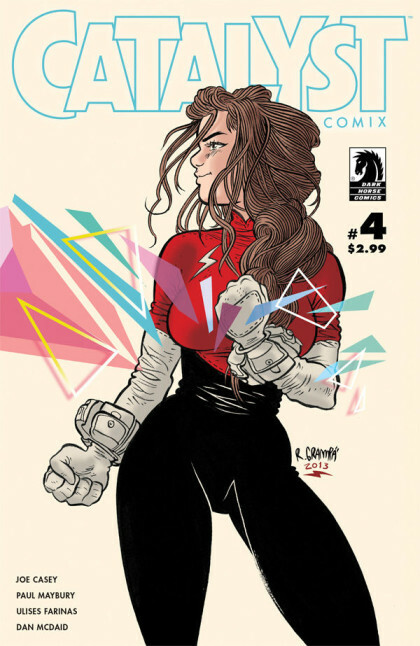 RICO’S PICK :: CATALYST COMIX #1: For this relaunch of Dark Horse’s superhero anthology the company has gone with a formula similar to what worked so well for Image Comics’ Prophet. I love the creative team they’ve assembled and I hope the book finds it’s audience because this is just the type of thing that people complain about not being able to find on the shelves. Here it is people, Joe Casey writing superheroes drawn by Dan McDaid, Paul Maybury, Ulises Farinas, and Rafael Grampá! Weird action awaits!